Blood clot. 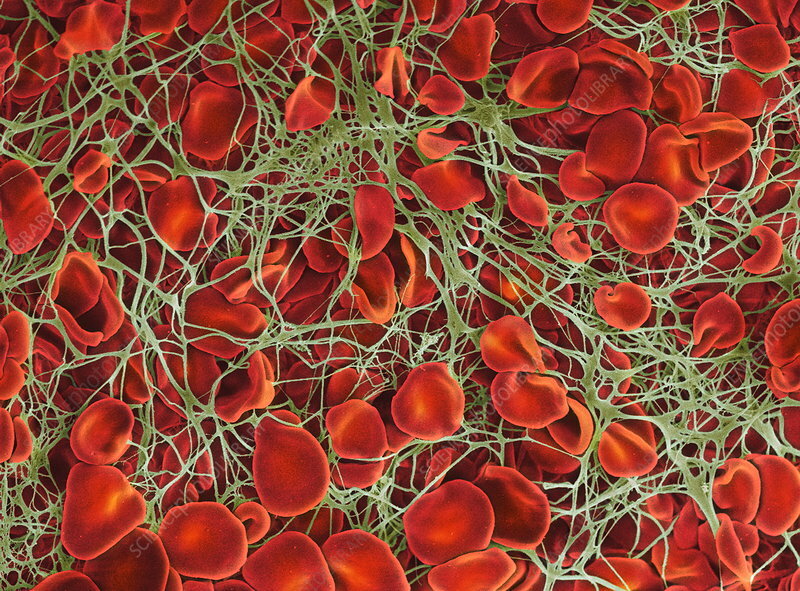 Coloured scanning electron micrograph (SEM) of red blood cells (erythrocytes) trapped in a fibrin mesh (green). The production of fibrin is triggered by cells called platelets, activated when a blood vessel is damaged. The fibrin binds the various blood cells together, forming a solid structure called a blood clot. A blood clot is a normal response, preventing an excessive loss of blood. However, inappropriate clotting is a major cause of heart attacks and strokes.